What a great idea this is! 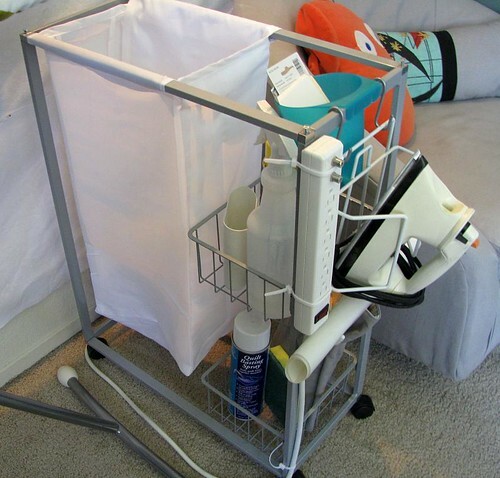 Kevin Kosbab of the Feed Dog blog describes how to make this portable ironing station! He started with a laundry bag from Ikea. “That’s hot!” to paraphrase a certain socialite (think she knows what an iron is?). See the full instructions on how to make it at http://feeddog.blogspot.com/2009/07/how-to-make-portable-ironing-station.html. This entry was posted in Helpful Tools and tagged Ironing. Bookmark the permalink.